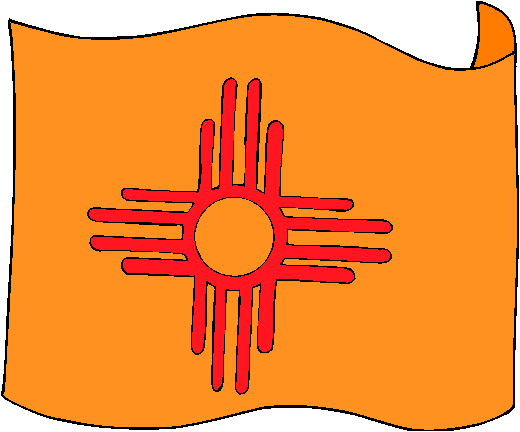 The flag of New Mexico consists of a red sun symbol (from the Zia Pueblo in New Mexico) on a yellow field. The colors are intended to honor Isabella of Castile and the conquistadors who explored in her name. The flag was designed by Dr Harry Mera of Santa Fe, who designed the flag for a competition held by the Daughters of the American Revolution in 1920.